Laim-Care is an effective contact lens solution that disinfects and moisturises all types of soft contact lenses. 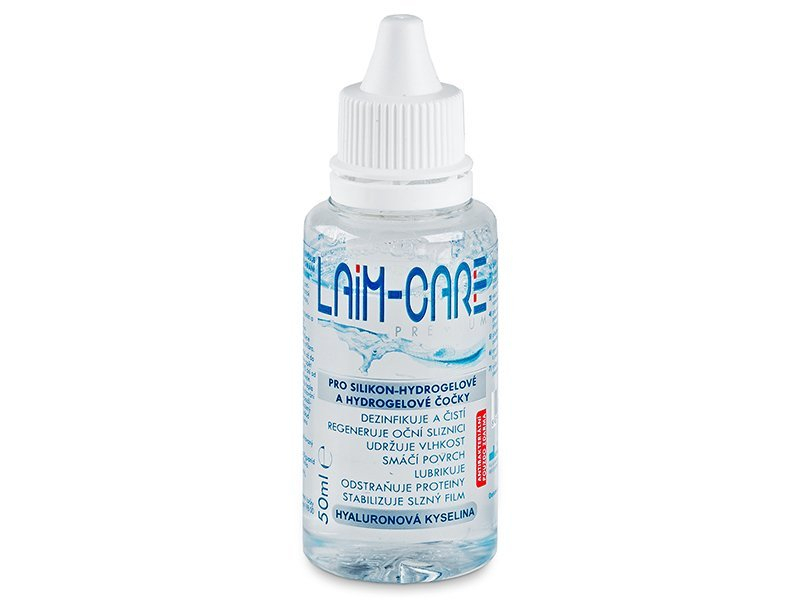 Laim-Care contains sodium hyaluronate, a natural lubricating agent found in the human eye. 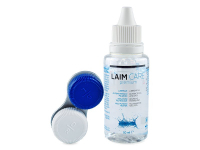 Laim-Care is available here in a convenient 50 ml travel bottle. 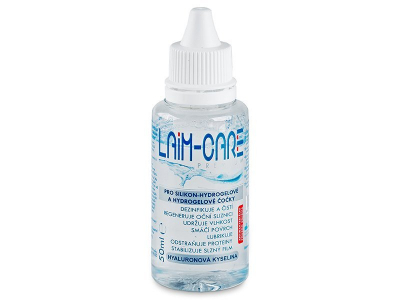 Laim-Care is an isotonic, multipurpose solution intended for cleaning and storing all types of soft contact lenses. This solution contains a special moisturising component called hyaluronic acid. Hyaluronic acid is a substance that is produced naturally by the human body that helps to ensure all-day comfort for contact lens wearers. It also functions as an antibacterial agent. Laim-Care solution is supplied in a 50 ml bottle with an antibacterial contact lens case included. 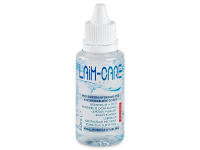 Read more about LAIM-CARE Solution. Great drops, very refreshing. Cheaper than the ones I was buying in Boots. So glad you offer this solution in a tiny travel size. It's a lifesaver.